Are you looking for every student to succeed? Applicants must hold or be able to obtain a Nebraska Teaching Certificate with the proper endorsement. 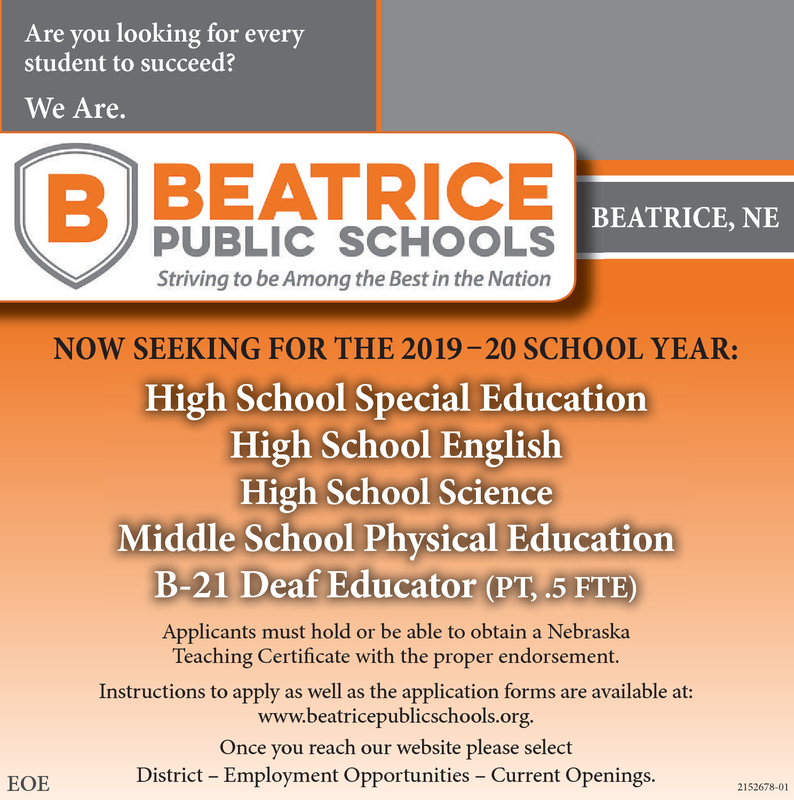 Instructions to apply as well as the application forms are available at: www.beatricepublicschools.org. Once you reach our website please select District - Employment Opportunities - Current Openings.